“Its 2019, Know which are the top Ganpati mandals of Mumbai famous for pandal decoration, concepts and theme and the beautiful idol of lord Ganesh festival occasion where 10 days of praising Lord Ganpati (Shree Ganesh) in Mumbai is seen at these famous sarvajanik (Group Organized) mandals. Also called ‘Pandals’, Those are hard working groups of individual location who takes this festival celebration all together at different level at various famous locations in city. Below listed and detailed are few of the old mandals to be visited this year 2019 to get blessing and see the larger than life way of celebration for all this 10 days including the pandal visarjan (Immersion). Address : Keshavji Naik Chawl, Khadilkar Road, Kandawadi, Urankawadi, Mangal Wadi, Girgaon, Mumbai, Maharashtra 400004. 1893, This was the year and location where the sarvajanik ganesh utsav program was first started in Mumbai by a great Indian Leader and Freedom Fighter ‘Lokmanya Tilak’. The aim and motto was to bring in the unity and getting together to discuss further plans to fight against Britishers and get Independence. The formation of a ‘MANDAL’, which actually mean group of people getting together for a particular task, In this case to celebrate Sarvajanik Ganpati / Ganesh Ustav. Year 2019, this mandal ages 127 years and proudly celebrating the festive located at Charni Road, 2nd station from South Mumbai’s Western Railway Route. Being the oldest and first mandal of Mumbai, Till date it believes in simplicity and the correct way of celebrating this festive. Completed 125 Years on 2017, The fun and celebrations are obviously at peak, Yet this mandal is known for one thing, Keep rooted to the main purpose as started by ‘Lokmanya Tilak’ and keep the idol height and festive charm natural and pandal decoration etc simple like so many years. Want to know how Ganpati festival started here, Then you must visit their official website here. Pictures by : Bhushan Jadhav and Darshan Patil. Pandal Address : Putlabai Chawl, Lalbaug Market,Shree Ganesh Nagar, Dr Babasaheb Ambedkar Road, Lal Baug, Parel, Mumbai, Maharashtra 400012. Mandal Contact : 022-24713626 / 022-24712122. 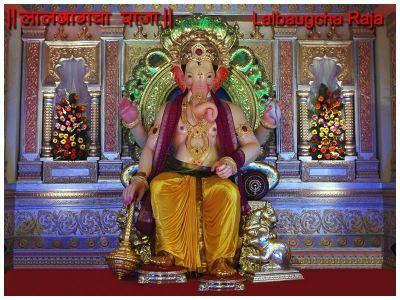 Its 85 this year and Since 1934, this Lalbaugcha Raja Sarvajanik Ganeshotsav Mandal which is famously known as Navsacha Ganpati (which means the fulfiller of the wishes) located at Parel (Central Mumbai) has attracted Millions of devotees and tourists. 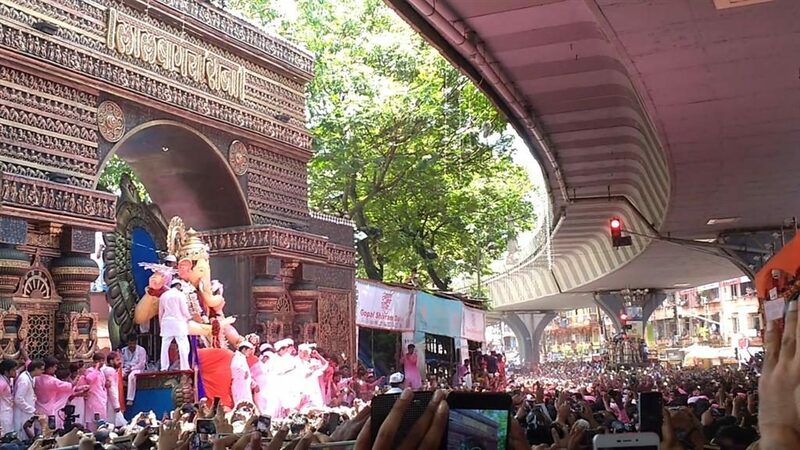 Last 5 to 7 years massive crowd is seen visiting various top Pandals in Mumbai, But Lalbaugcha Raja is one of the highest crowd pullers of all. Media, Political support and now social media has done well to showcase the mega events around Mumbai city. People travel from other cities and are getting attracting towards Lalbaug mandal. 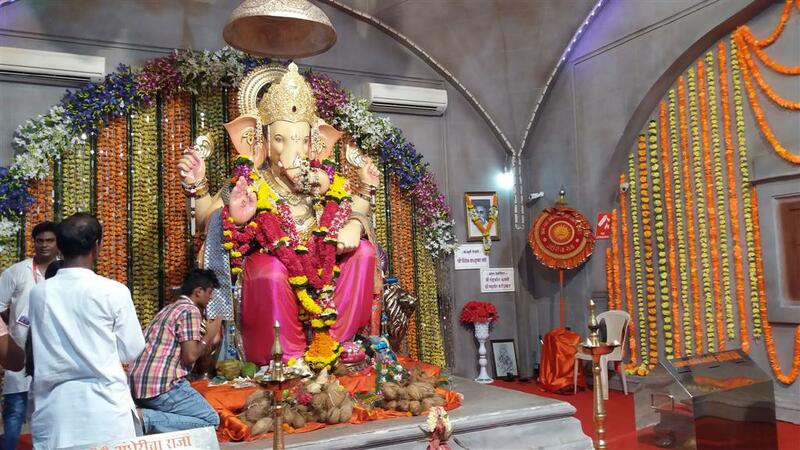 Security and facilities have been improved for specially able, pregnant and elderly people who cannot wait for 3 to 7 hours of long queue just to get glance of the huge charismatic Ganesh idol at parel. More and must read about at Lalbaugcha Raja. See Also : Old Pictures of Lalbaug Ganpati. Pictures by : Kavi Shah and Akshata Kamath. Pandal Address : Dwarakanath Bhavan, Shree Ram Mandir Complex, Katrak Road, Wadala West, Mumbai, Maharashtra 400031. GSB (which means, Gowd Saraswat Brahmin) is a religious community from Karnataka, South of India, Celebrated Diamond Jubilee during 2014 which is Managed By North Kanra GSB. It is Officially called ‘G.S.B. 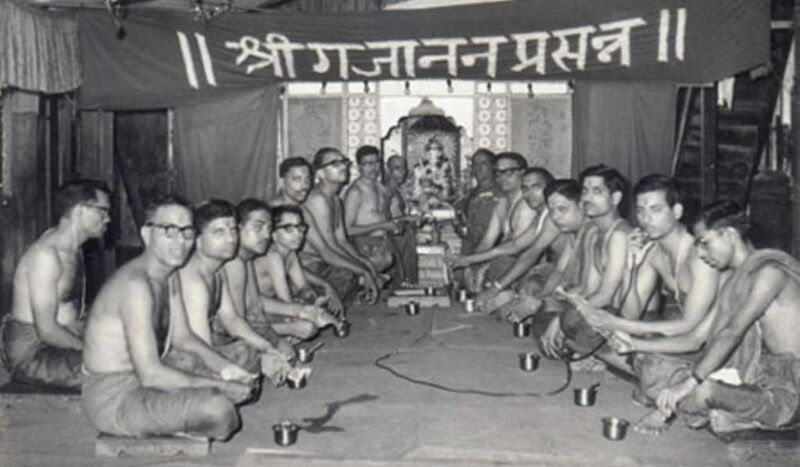 Sarvajanik Ganeshotsava Samiti’. 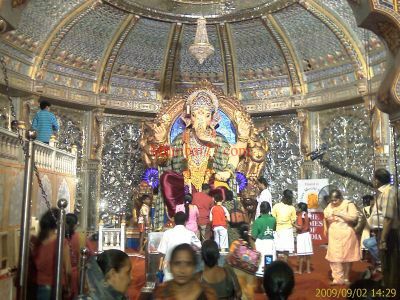 Known to be the richest Ganpati mandal of Mumbai located at Kings circle in central railway route, It is one of the top 5 to 7 famous Pandals in city. Specially known for its rituals and getting the costliest Ganesh idol, Usually loaded with gold ornaments and more. Similarly donations and secret gold offering make it larger than life event here. This Ganesh Seva Mandal shun film music and only celebrate the festival in a religious way it should be always. Proper security takes care of tons of gold and also of devotees visiting the pandal. CCTV are arranged along with security personnel that helps proper darshan of ganesh for all 24 hours and 10 days. Complete details about GSB Seva Mandal. Pandal Address : Off, Ganesh Lane, Gundecha Garden, Lalbaug, Parel, Mumbai, Maharashtra 400012. 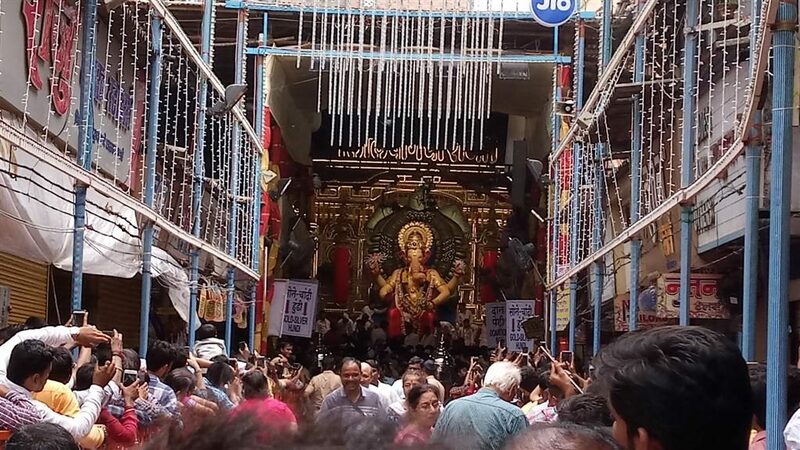 Since this organizing mandal started in 1928, Long before the today’s very famous Lalbaugcha Raja, Ganesh galli was and still is equally famous for its tallest ganesh idol located in central Mumbai parel area adjacent to Lalbaugcha raja. The mandal boasts of impressive decorations, in 2009 they idol will be installed inside a replica of the famous Kedarnath temple. This group of organizers are known in city for various charity activities like blood donation and other good causes during other festivals like navratri, taken care by about 200 to 300 volunteers. Refer to their facebook page and other social links and you will find best reviews from visitors. Pandal Address : 12th lane, Khetwadi Girgaon, Mumbai, Maharashtra, 400004. Mandal Contact : 9022133860 & 9967895457. 12th lane Khetwadicha Ganraj, The very famous 12 adjacent lanes at Grant Road east location. The mandal is called ‘Sarvajanik Shree Ganeshotsav Khetwadi Mandal’ since 1970 when the location was full of Parsi, Marathi, Muslim, Christians and Hindus who together supported the unique concept by ‘Lokmanya Tilak’. An awesome location which can take a whole day to visit all lanes and not just lane 12th during peak hours time in week ends. The main attraction of this mandal is the unique concept and theme for all these 10 days. The lighting and decoration is what made this galli very famous in last few years. Khetwadi is also in the list of top ganesh mandals of Mumbai as detailed in this page. 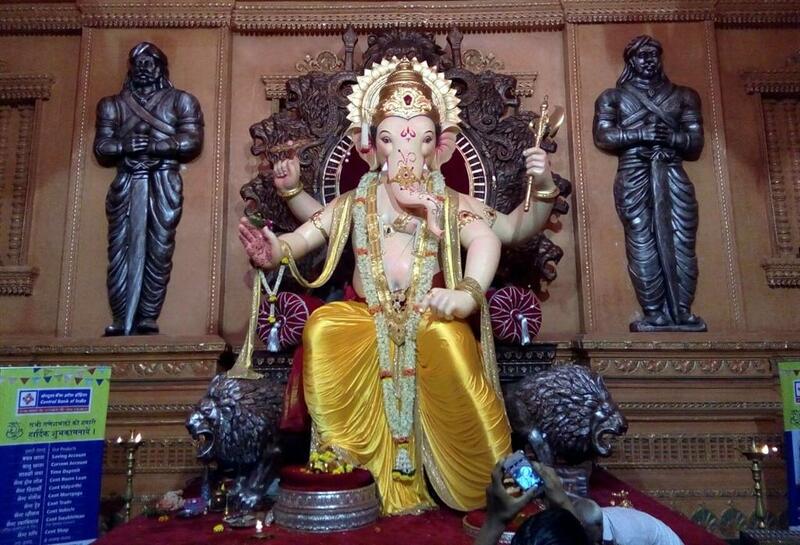 Ganesh idol of up to 12 feet, since last 23 years. Below are more mandals with great pandal decorations, themes and beautiful tall Ganesh idols located in Mumbai Suburban (Western and Central Railway Route). These mandals have been appreciated for their hard work and concept. Few for going Eco-Friendly way for long and many sending positive and awareness messages to people around. Address : A/3, Progressive Building, Dattaram Lad Marg, Chinchpokli, Mumbai 400012. Address : Shree Siddhi Ganesh Mandir Chowk, Bhatwadi, Ghatkopar (West), Mumbai 400084. Address : Makba Chawl, NM Joshi Marg, Byculla West, Jacob Circle, Mumbai, Maharashtra 400011. Sahyadri Krida Mandal is basically a sports club since 1977 started Ganesh festival in a very small way of celebrating in their own simple style. With time, this mandal has grown bigger and better and this year 2013, they had decorated complete sports club with Bollywood as their theme, Cheering 100 years of Indian Cinema. Visiting this place after afternoon is preferable and to reach Sahyadri krida mandal two of the nearest stations are Tilak Nagar in harbour Route and Vidyavihar in Central route of Mumbai Railway Network. Address : Sahyadri Krida Mandal, Vrindavan Colony, Near L/4-32, Tilak Nagar, Chembur, Mumbai 400089. Address : Kannamwar Nagar II, Vikhroli East, Mumbai, Maharashtra 400083. 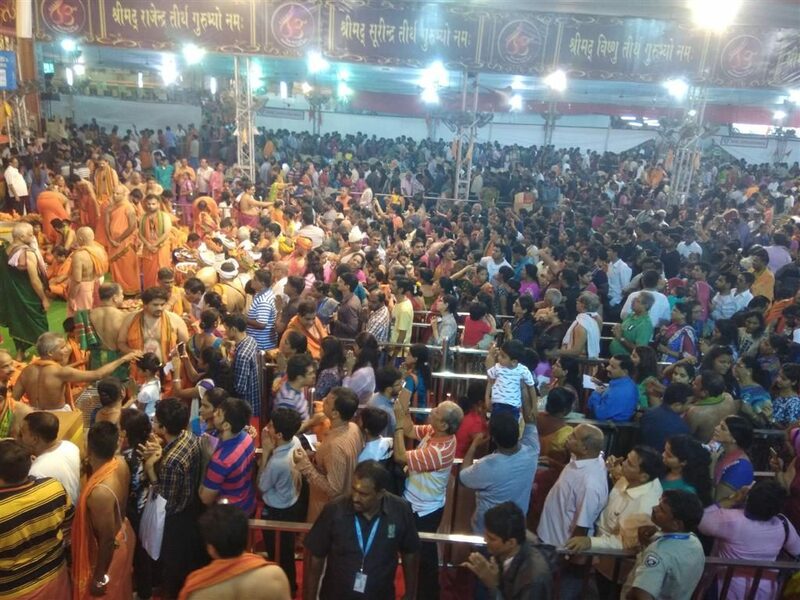 Address : Azadnagar Sarvajanik Utsav Samitee, Andhericha Raja Sabha Mandap, Azad Nagar, Veera Desai Road, Andheri (West), Mumbai, Maharashtra 400053. Address : Hitendra Kale Compound, Dattapada Road, Asara Colony, Borivali East, Mumbai, Maharashtra 400066. Address : Sham Nirmal Mitra Mandal, Narsing Lane, Opposite NL High School, SV Road, Malad (West), Mumbai 400064. All of this locations are at Lalbaug Kalachowkie belt. 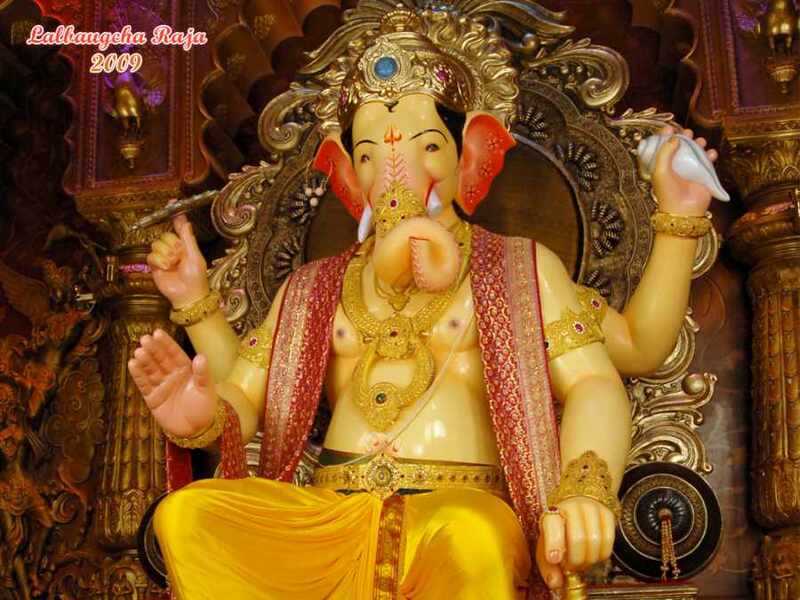 This ganesh mandal have impressive idols and have themes which focus on current issues. True to the nature of the residents of Vile-Parle, this mandal boasts of celebrating the ganesh festival in an eco-friendly manner since years. A high motivation to spread a message of accepting eco-friendly ganpati idols. One of the oldest of about 100 years old ganesh mandal located at Nikadwari Lane boasts of having a clay idol despite being tall. It was once infamous as the underworld don Chhota Rajan was once a member of this mandal. 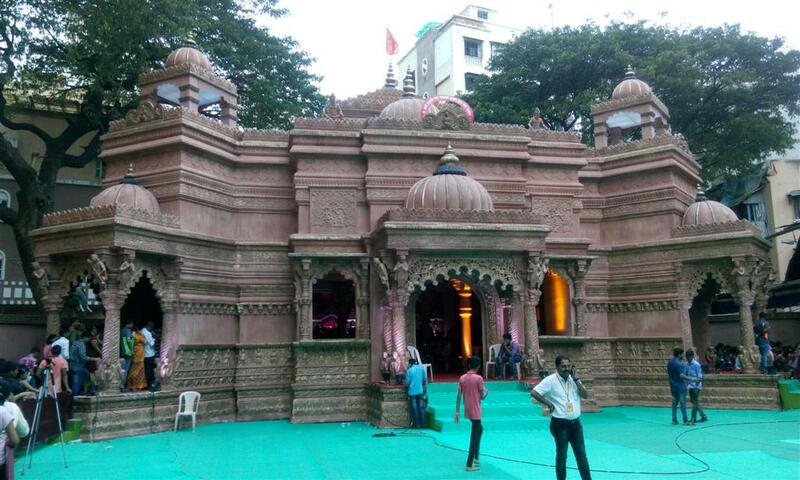 In the last few years, the organizers have toned down the lavish sets and now a beautiful mandal to visit. Located at Kudaldeshkar Wadi, This mandal of Girgaum has beautiful pandal decorated every year by a group of residents Originally migrated from Kokan to Mumbai city. Again nearest station to reach this place is Charni Road in East. One of the unique thing about this mandal is the Eco-Friendly Ganesh made of Fibre (Few years back) which are immersed On visarjan day at Girgaum Chowpatty (Famous and an only place of Immersion). Nearest station being ‘Mumbai Central’ and best Land mark is Central Mall, Tulsiwadi Ganeshotsav in Tardeo area has a speciality in itself. This is one of the mandals which has the idol made up of different materials every year. Sometimes of glass, sometimes german silver and sandalwood too. Another thing to admire about this pandal is the height of the ganesh idol. Year 2013 they have 19 feet ganesha made up of artificial diamonds. This ganesh mandal located Opp GPO fort has created and exact replica of Pandharpur, a very famous religious spot of maharashtrians. Quite near to charni road station this is one of the very oldest mandals of Mumbai. Located at Dr. Mascarenhas Road, Mazgaon since last 61 years, This mandal at Anjeerwadi has used a theme of Thai temple, This mandal is in association with NCP leader Chagan Bhujbal since long time now. 2018: Rules are more strict, Restrictions on Thermacol and plastics. With the details on best pandals to visit in Mumbai, And the kind size festival with lakhs of devotees at every other lanes of city, Their are some redresses and complaints from civilians / rather say pedestrians who visit this pandals and praise the beautiful decorations and idols at various known pandals. Till 2014 the complaints about inconvenience created when ganeshotsav pandals are at road side or along the residential lanes were just heard and no action was taken. This year 2015, this ganpati festival will see strict policies and rules for pandals that needs to be followed else the fine and possible eviction by BMC. One of our leading newspapers ‘Hindustan Times’ highlighted this policies and rules and i thought to update this page with same so that our citizens will be happy to hear and although pandals know about same, few small organizers may also can learn about these rules and restrictions. Below are the same. All 24 wards in Mumbai city limits have been given the circulars for policy, rules and restriction for setting up pandals during yearly ganeshotsav festival as directed by Bombay High Court. 3 main approvals are required by all mandals of city which are Police NOC, Traffic NOC and Fire Department as well. Getting approvals from all these departments will require a detailed pandal set up plan detailing location map, road / lane details, height Width and Length of the requested pandal. Only after getting all 3 approvals as detailed in above point, BMC can be approached with final NOC and other permissions. A mandatory fine of Rs.2000 per pit hole will be levied to every pandal that will be filled by BMC once the festival is over and mandals dismantles the set up. 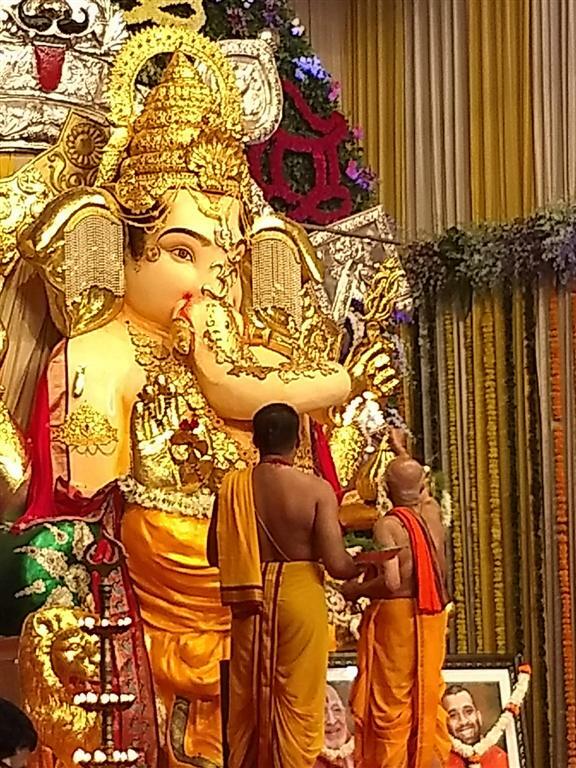 Under Section 317 of Mumbai Municipal Corporation Act 1888, They can get permissions for erecting temporary structures like the one required for this ganesh festival. If planning to display advertisements and banners inside and within pandals premises, Rs.125 needs to be paid for every individual advertisement. Strict adherence and rules to be followed by pandal organizers when it comes to playing music and songs in premises. Sound and Noise level should be as per the permissible limits given by civil body and High court. Every ward will compulsory have a complaint officer to which citizens / local can complain if any inconvenience found or the above rules not obeyed. Nashik Dhol Visarjan Dance Fun. Mandal People Dancing on last Day Visarjan (Immersion).